British Airways and Air France were the two principal operators of Concorde from 1976-2003. Singapore Airlines and Braniff International Airways also had arrangements to c-operate Concorde services for a short period. 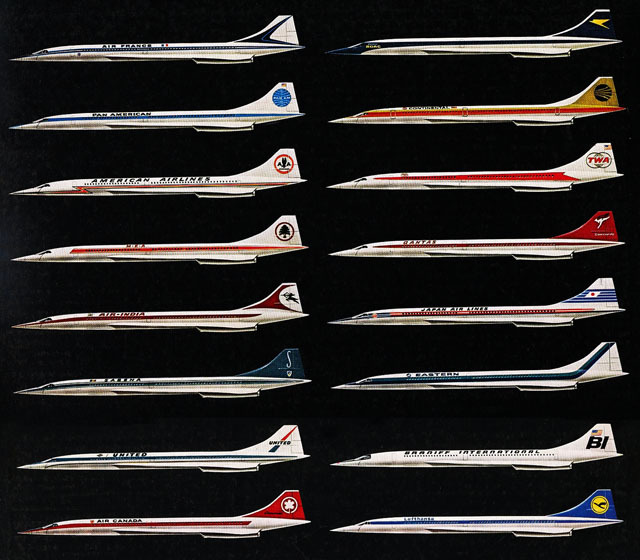 The Concorde order book, pre-1973 oil crisis, had the following world airlines place options with the manufacturers.